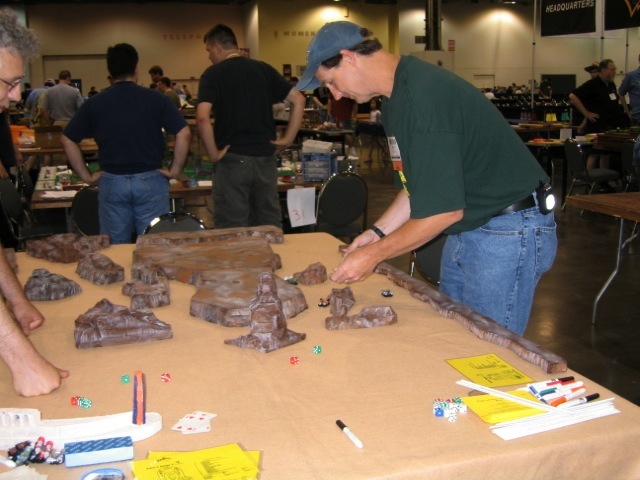 Future Race was written by Jamie Davis in 1999 to be used as a rules system to tabletop game the excitement of Pod Racing from Star Wars: Episode 1 and other types of action packed racing styles. The first game was a pod race oval track using Micro Machines™ Pod Racers and was run as a pick up game at the HMGS-East Historicon Convention ’99 in Lancaster, Pennsylvania. Since then, there have been many courses and variations of the basic race including Ice Racing, Magic Carpet Races, and soon a Florida Everglades Airboat Race! 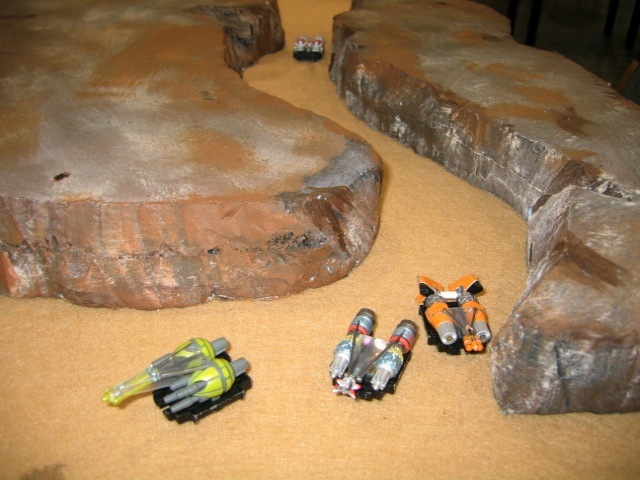 The first game was a pod race oval track using Micro Machines Pod Racers and was run as a pick up game at the HMGS-East Historicon Convention ’99 in Lancaster, Pennsylvania. Since then, there have been many courses and variations of the basic race including Ice Racing, Magic Carpet Races, Florida Everglades Airboat Races and more!